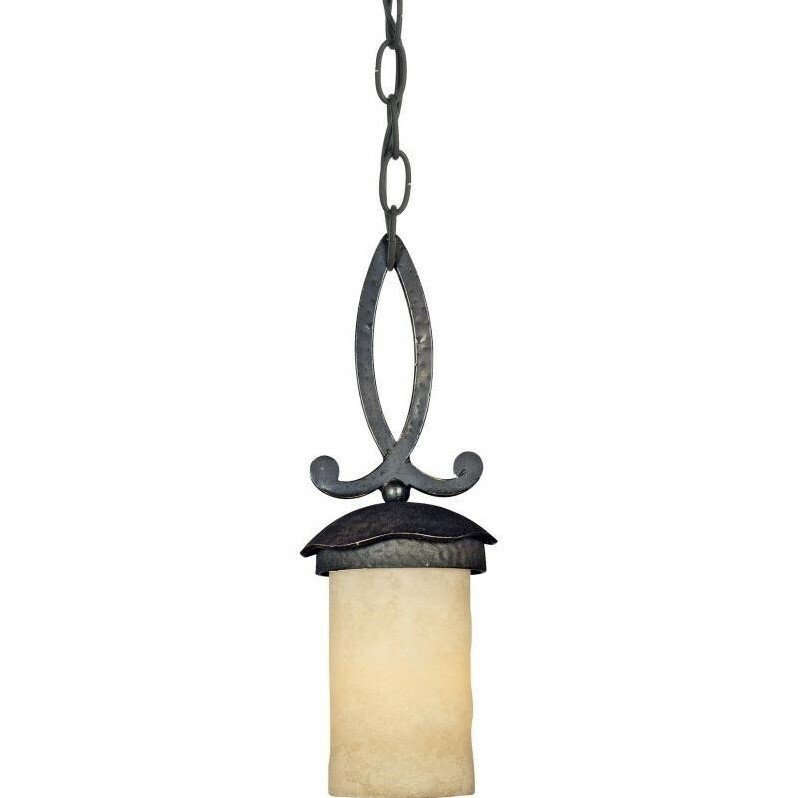 La Parra - IB Imperial Bronze Finish, Chain Hung Mini Pendant: This stately look is influenced by Moorish Spanish and Gothic styles. The intricate metal scroll work is made of hand forged iron and the handmade shades emit a soft radiance appearing much like real candles. Product Shade: Shade 1: G1615SH 6.25" x 3.75" x 3.75"